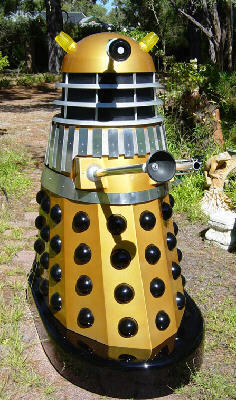 Nik Demopoulous is a family man living in Melbourne Australia. 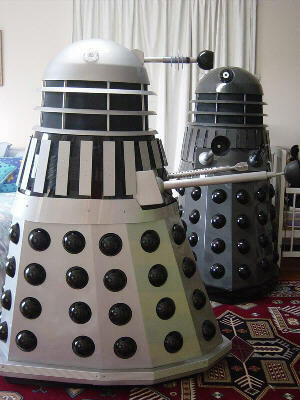 A manufacture of surfboards, prop builder and mould maker he has only recently began collecting Doctor Who Merchandize and props. 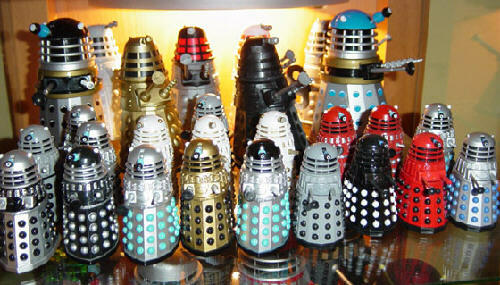 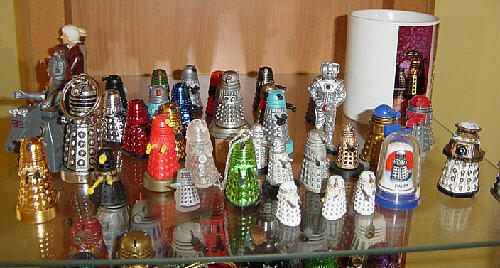 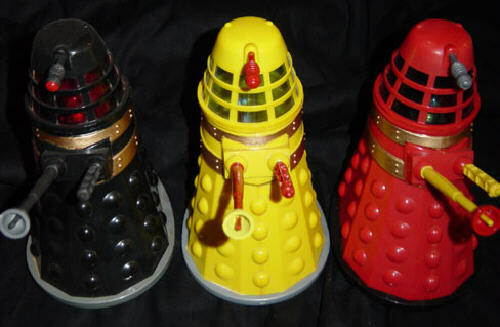 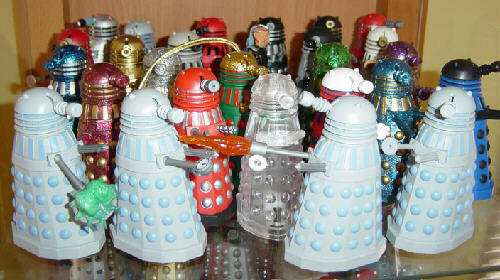 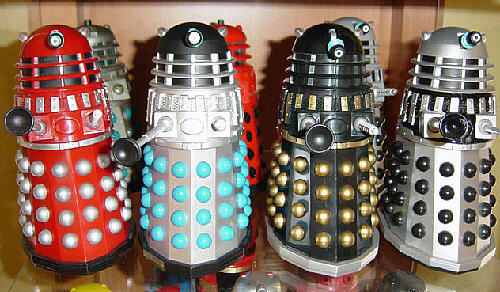 The main focus of the collection is on Daleks and in the short time Nik has been collecting he has gathered together a most impressive display, punctuated with 2 full sized Daleks. 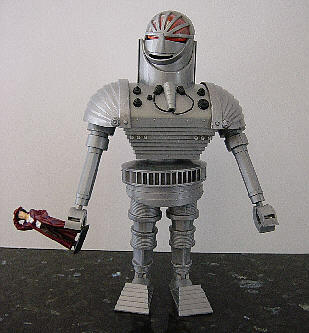 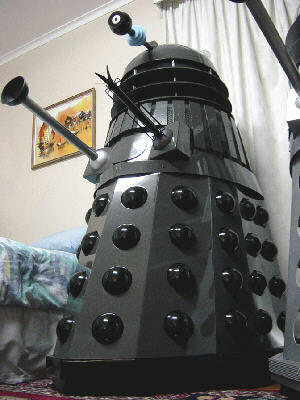 Nik does a small bit of restoration work on his toys replacing a missing eyestalk or plunger arm when he can. 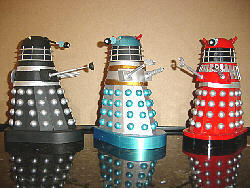 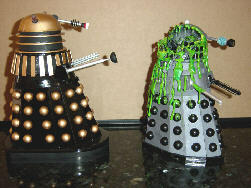 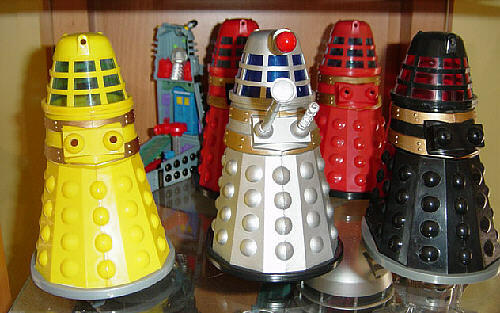 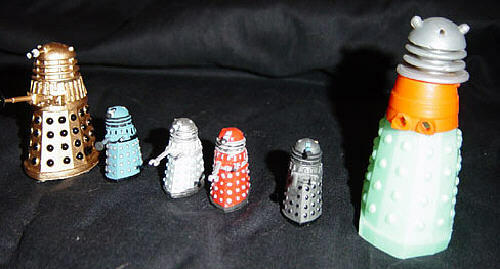 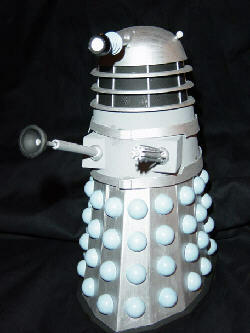 Nik has been fortunate to find a Silver and Blue Dapol Dalek as well as a black head and gray version that were both only released as promotions. 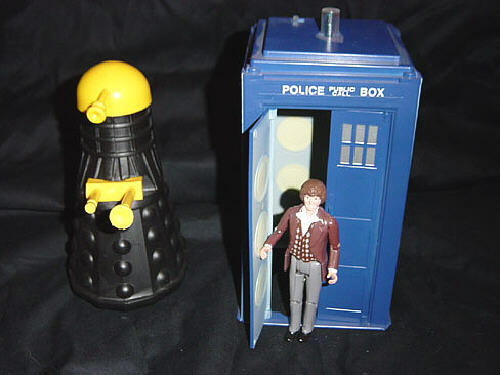 But his favorite items are his boxed sixties Marx bump and go Dalek and his Dapol Christmas Dalek. 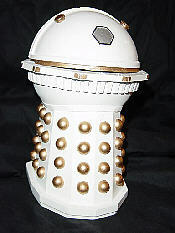 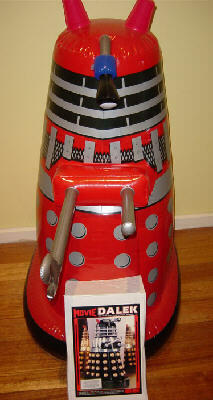 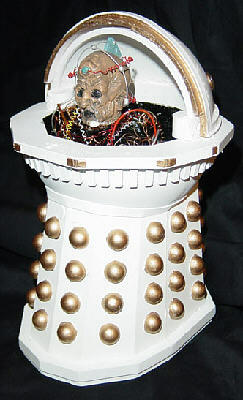 He's been looking to add a Dalek bubble bath bottle and a Swappit to his collection. 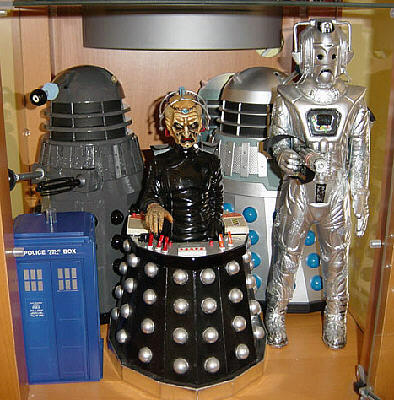 All of the pictures on this page are the property of Nik Demopoulos and may not be used or reproduced in any way without his explicit written consent.